Although this watch may be smaller than the Sinn 1746 Klassik, it manages to pack everything great about that watch into a 36 mm case. 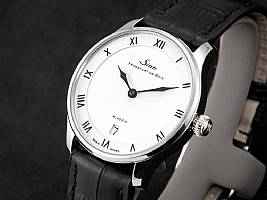 Sinn introduced a very unique watch into their collection a number of years ago and named it the Sinn 1746 Klassik. This watch remains popular today, and definitely does not fit the definition of a "tool' watch with its enamel white dial, Roman numerals and highly decorated movement. After this watch received a very positive reception, Sinn set out to create a watch in the same style but in a case size more appropriate for those with smaller to medium sized wrists - the Sinn 1736 Klassik with a 36 mm case. 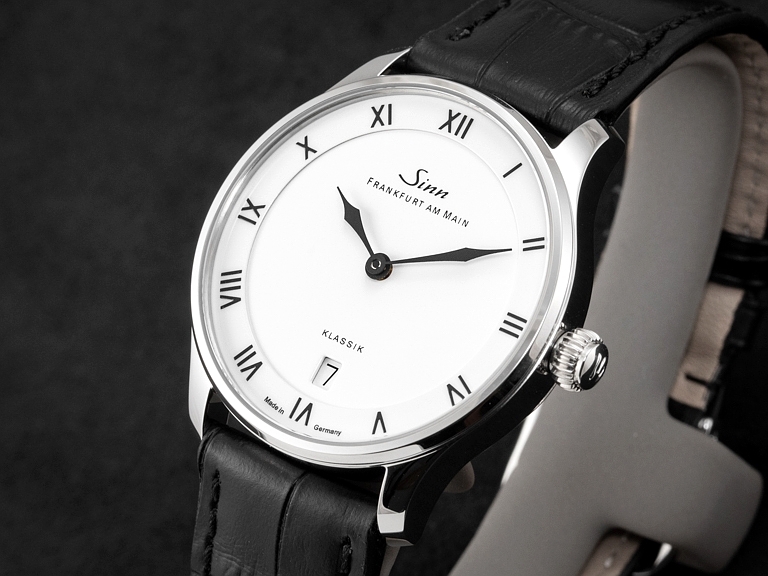 The Sinn 1736 Klassik demonstrates Sinn's ability to create enduring timepieces which have both style and individuality.